It is our pleasure to send you the first e-FATO-Info! Established in 1992, the African Federation of Orthopaedic Technologists by a group of prosthetist-orthotists to address issues related specifically to the profession (i.e. lack of recognition, lack of access to education and training, lack of exchanges, etc.). However, over the years, FATO has grown and become a multidisciplinary organization aiming at promoting access to appropriate and equitable rehabilitation and mobility device services in Africa, thus improving the quality of life for persons who may benefit from rehabilitation and mobility devices services. FATO membership include all rehabilitation professionals (i.e. prosthetists-orthotists, physical therapists, occupational therapists, rehabilitation doctors, speech therapists, surgeons, CBR workers, etc) along with users of the services and decision makers. For many of FATO members and partners, the name African Federation of Orthopaedic Technologists was no longer in line with the evolution of the federation and the time had come to review its name. After a consultation and a vote within its members and partners, the African Federation of Orthopaedic Technologists becomes the “African Federation of Rehabilitation Professionals”. While the name is changing, the acronym “FATO” will remain. 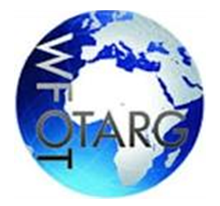 As a multidisciplinary organization aiming at promoting access to appropriate and equitable rehabilitation and mobility device services in Africa, thus improving the quality of life for persons who may benefit from rehabilitation and mobility devices services, FATO is developing its network of partners. Recently, FATO has signed four (4) collaboration agreements aiming at building synergies among stakeholders as FATO believes that outcome of working together is greater than the sum of individual actions. 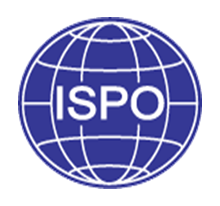 In November 2018, FATO signed a collaboration agreement with the International Society for Prosthetics and Orthotics (ISPO) to build synergy to ensure that an increasing number of people have access to appropriate rehabilitation, mobility devices and other assistive products and services. For the first time, through this agreement, ISPO and FATO offer the possibility to apply for dual membership. With dual membership, individuals will benefit from reduced fees and several advantages such as reduced registration fees to attend both organisations’ congresses, access to ISPO and FATO Journals, etc. 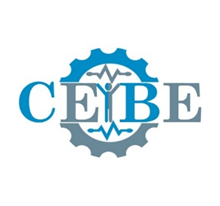 The University of Rwanda is hosting the East African Regional Centre of Excellence for Biomedical Engineering and e-Health, (UR-CEBE) aiming to provide leadership, intellectual capacity, and infrastructure required to accelerate the provision of cost-effective, technology-supported healthcare services in Rwanda and the surrounding region, with operation in an innovation, consultancy, and industry collaboration ecosystem to achieve high-impact results in support of key health services including medical equipment and devices, rehabilitation and mobility services, and eHealth services. Joint us and share your expertise! The African Community on Assistive Technology (ACAT) is an active and growing virtual network aiming to progress the state of AT in Africa. AT is a powerful change agent however the WHO Global AFRO Region has extensive unmet need. Importantly there are exciting innovations and developments in appropriate and sustainable AT development and delivery worth celebrating, sharing and growing. The Global Cooperation on AT (GATE) Network supports global and regional actions to improve access to high-quality affordable assistive technology. International Assistive Technology Professional Associations operate in many regions to connect and support AT users, researchers, practitioners, innovators, suppliers, policy makers and supporters. A vision for one in Africa was proposed at a GATE Summit, 2017 and ACAT was born with the support of Australia’s international Rehabilitation and Assistive Technology professional Association, ARATA (www.arata.org.au), in May 2018. 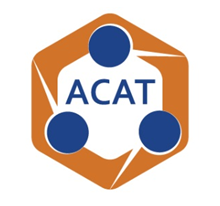 ACAT currently has over 70 members from more than 12 countries. The ACAT listserv shares information on research actions and opportunities, on practice questions, and global opportunities. An online repository of documents and resources has commenced. Raising awareness, both of resources and of evidence gaps, is spurring virtual discussions to identify ‘what good practice looks like’ and informing international and continental peers about the unique practice knowledge of Africa. We invite members of FATO to sign up and contribute. The wealth of knowledge and experience of the physical rehabilitation and mobility device sector can greatly benefit the less developed parts of the AT world. Connecting across countries, sectors and horizons will further your learning and develop, and strengthen your own work and that of the entire AT sector. Please contact subscriptions@acat.link to start connecting and sharing.